There are not many countries where people would celebrate the birthday of a health system with cards, tea parties and religious services, but the NHS is unique. Founded by the Labour Government in 1948 the National Health Service delivers the principle that everyone should get the healthcare they need regardless of their income. In the 1980s and 90s the Conservatives ran the service into the ground but the Labour Governments of 1997-2010 doubled investment leading the Commonwealth Fund to rank the NHS number one in the world for fairness and efficiency with record levels of patient satisfaction. To celebrate this achievement Lambeth Labour is delivering cards to all of the major NHS trusts that serve the borough and the Clinical Commissioning Group which includes GP services. We will also be lighting the Town Hall in NHS blue and taking a Motion to the next Full Council meeting where we will hear from people who’s lives have been saved by the health services. Lambeth is blessed with brilliant doctors, nurses and other health professionals working in some of the best regarded institutions in the world. The NHS is also one of our biggest employers and thousands of our residents work in local hospitals and in the community. We are grateful to all of them for the hard work they do in often difficult circumstances. In recent years those circumstances have often got even more difficult as demand has risen and money has got tighter. Because funding does match demand for services two of our biggest hospital trusts, King’s College and St George’s, are now spending £200 million more a year than they get from government. This is not sustainable. The NHS does not exist in a vacuum, its patients and workers come from the community it serves and so when that community gets poorer because of welfare cuts, its social and public health services reduced by government, more people get ill and die and demand rises. Whilst we welcome the additional £20 billion the Prime Minister has promised the NHS over the next few years we worry that no source of funding, other than a mythical ‘Brexit dividend’, has been identified. We also worry that without proper investment in the support that keeps people well in the community like public health and social care but also poverty reduction, youth activities and housing, the money, wherever it comes from, will fail to make a real difference. 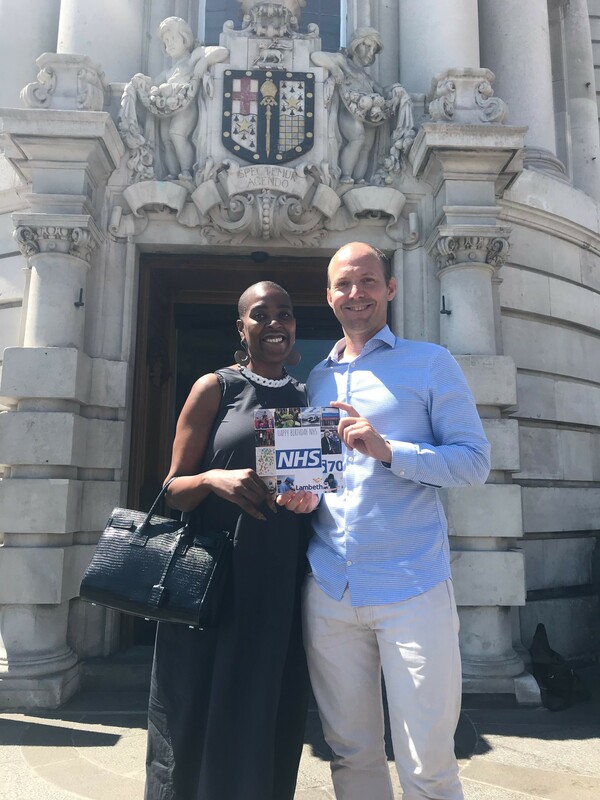 So Lambeth Labour will be increasing our efforts, as promised in our manifesto, to campaign to protect and invest in the NHS but also the wider support that helps keep people well. As a first next step we will be writing to the Secretary of State for Health and Social Care calling for change, taking our motion to council and working with our residents and partners.